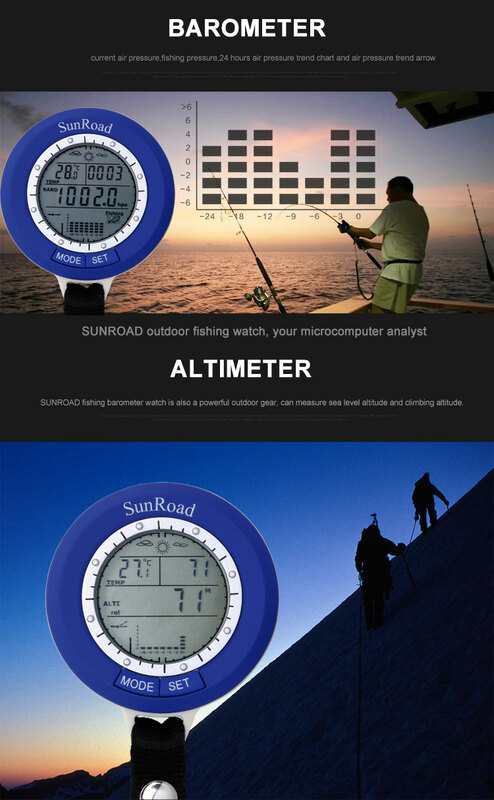 This is an essential gadget for any fishing/outdoor enthusiast! 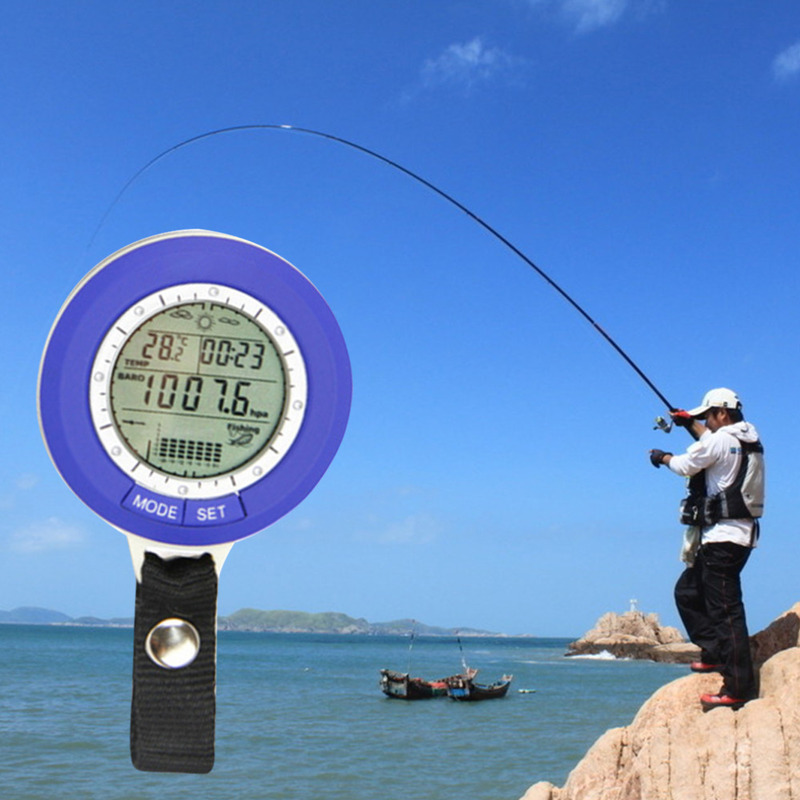 This cool fishing gadget provides you with real-time data on the environment of 6 different fishing spots simultaneously. 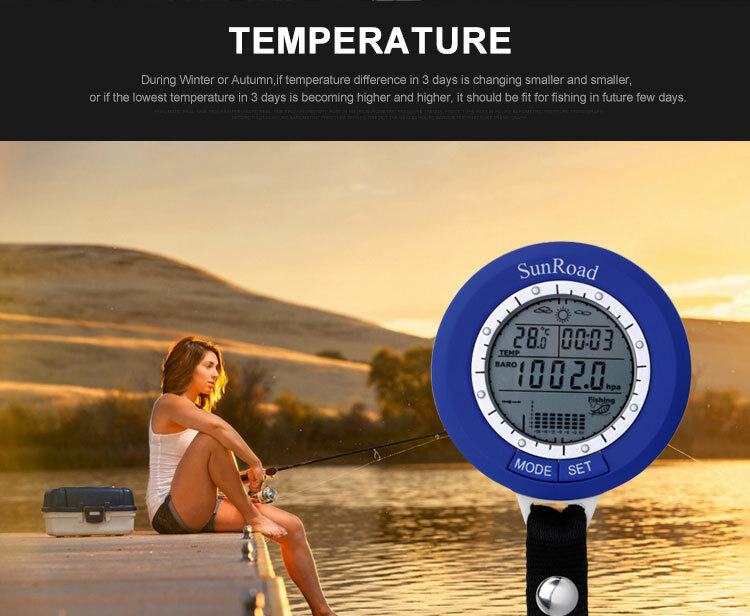 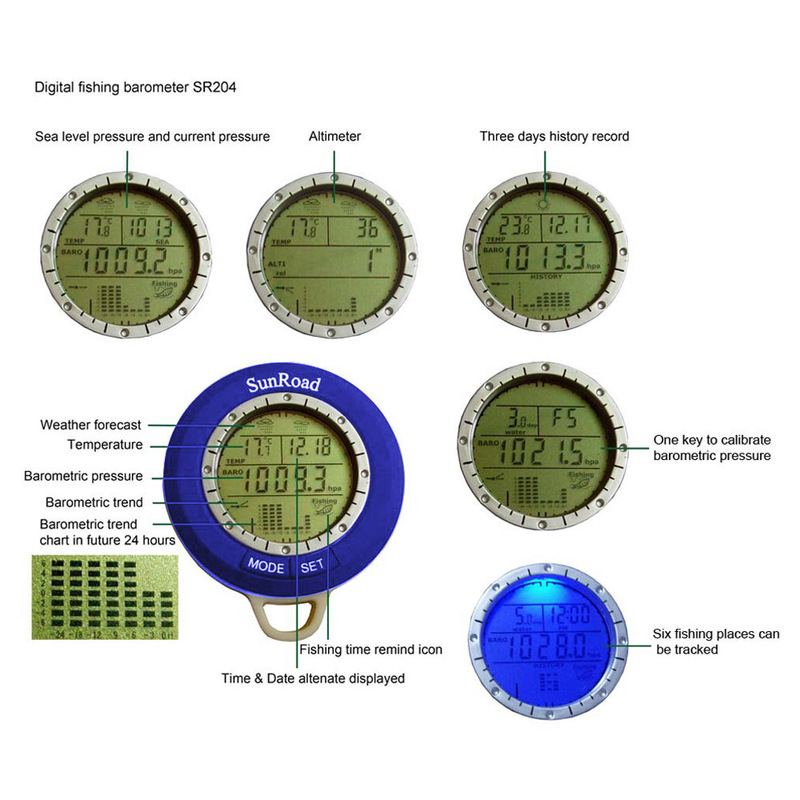 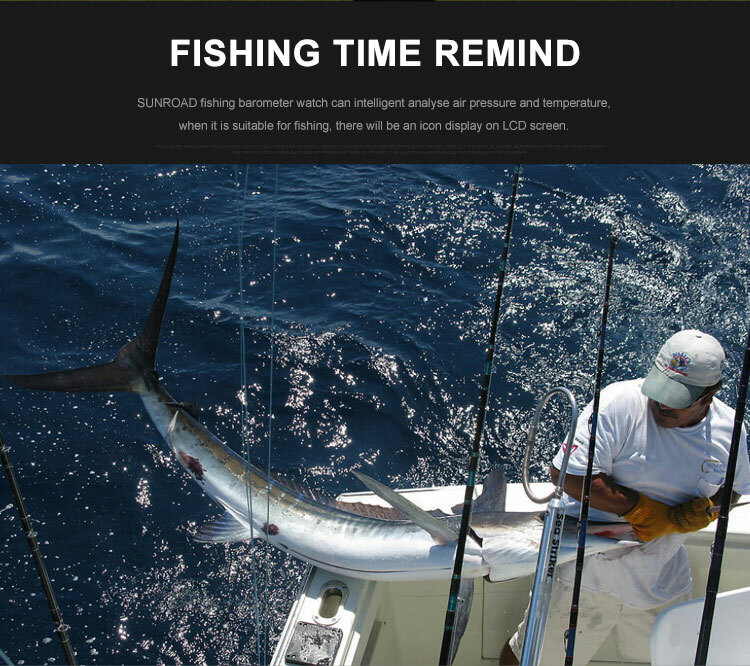 Keeping track of the air pressure, temperature, and water depth – this fishing barometer is capable of informing you about the ultimate fishing times. 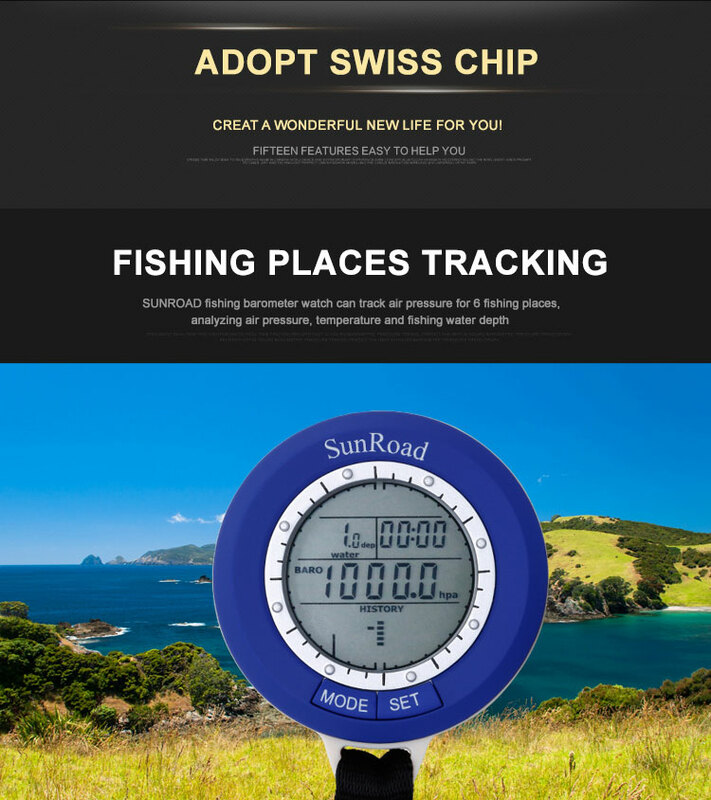 With the perfect fishing conditions at your side, you can be guaranteed that you’ll never return empty-handed from your upcoming fishing trips again. 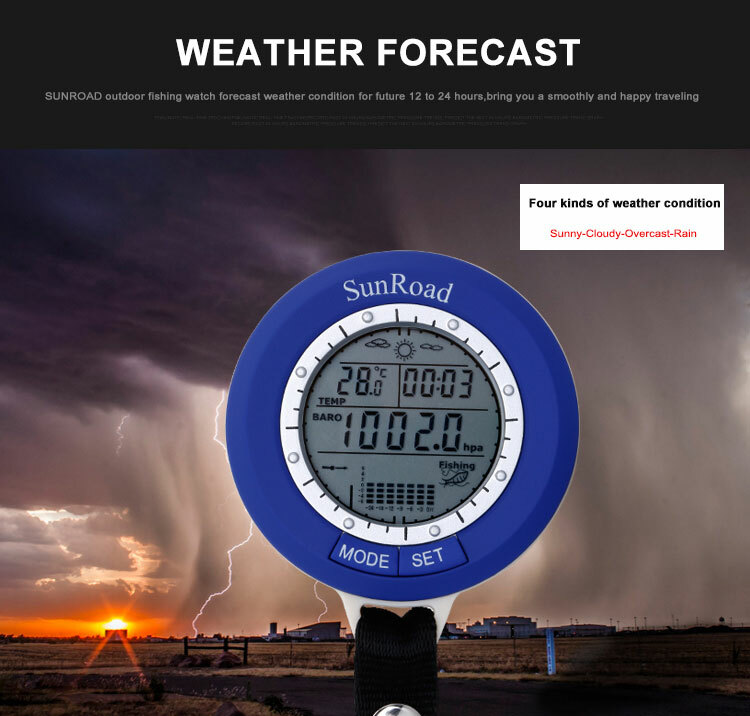 It has countless functions that allow you to trend a chart with 24 hours barometric pressure. 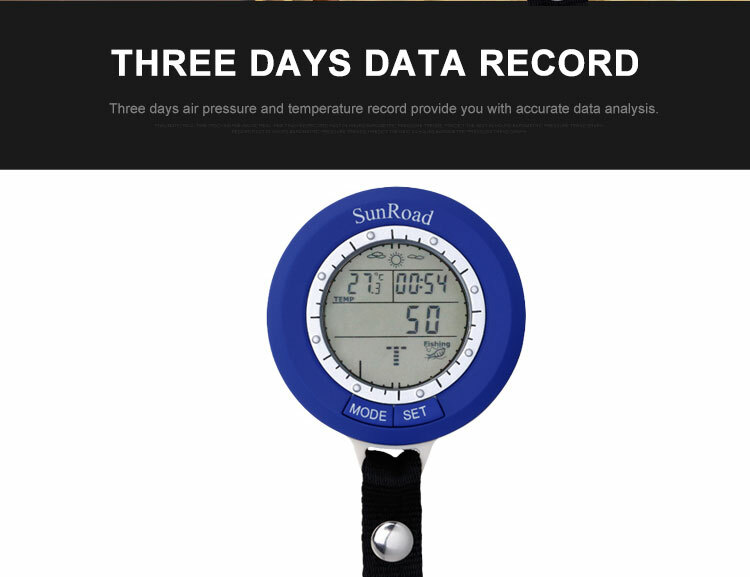 It also allows you to record the air pressure & temperature days in advance! 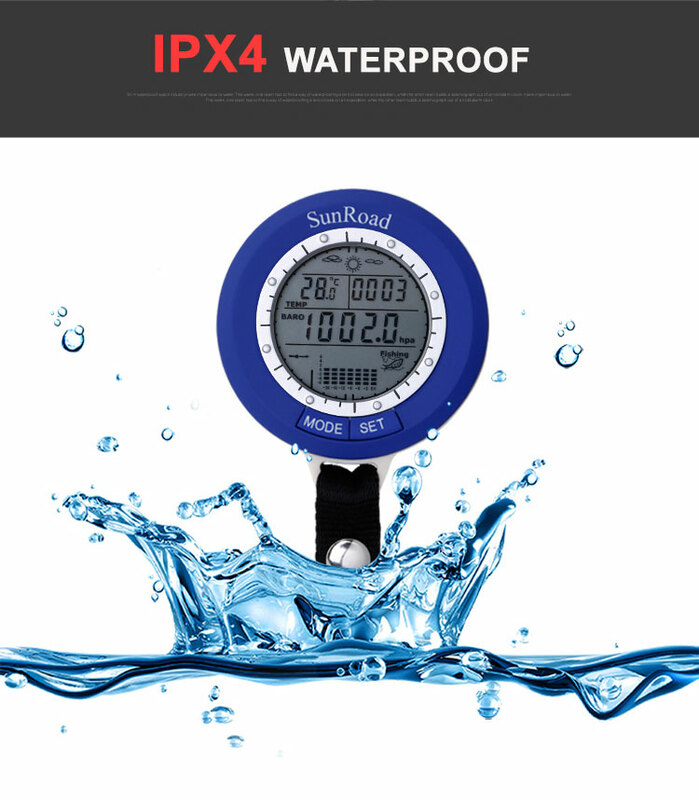 Also,It features an IPX4 waterproof protection rating, so you won’t have to worry about it accidentally getting wet. 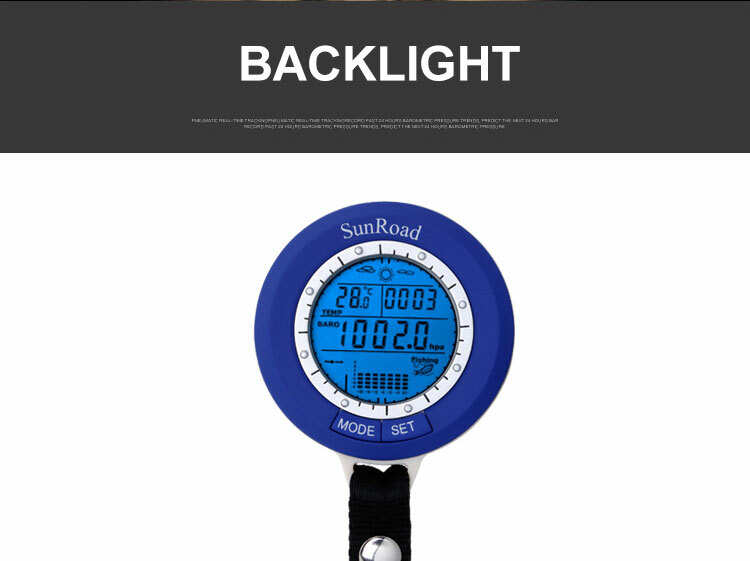 Equipped with LCD backlit screen. 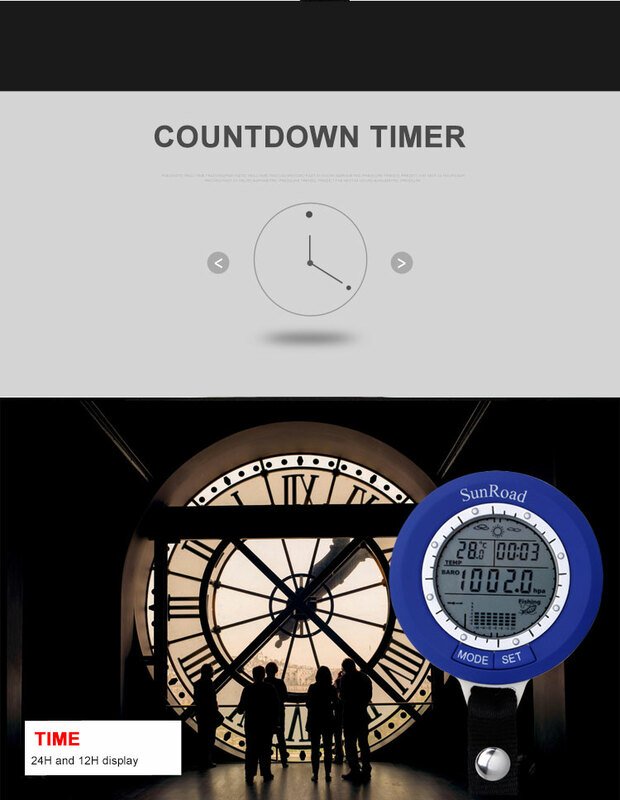 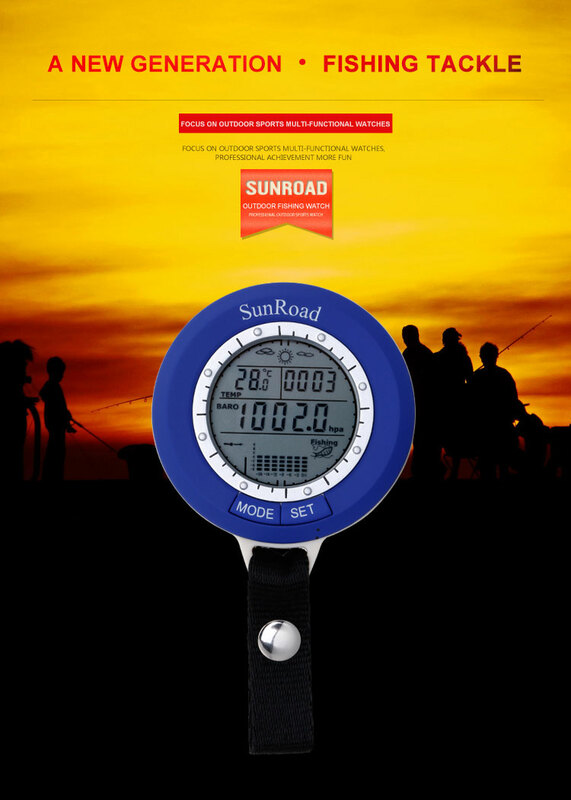 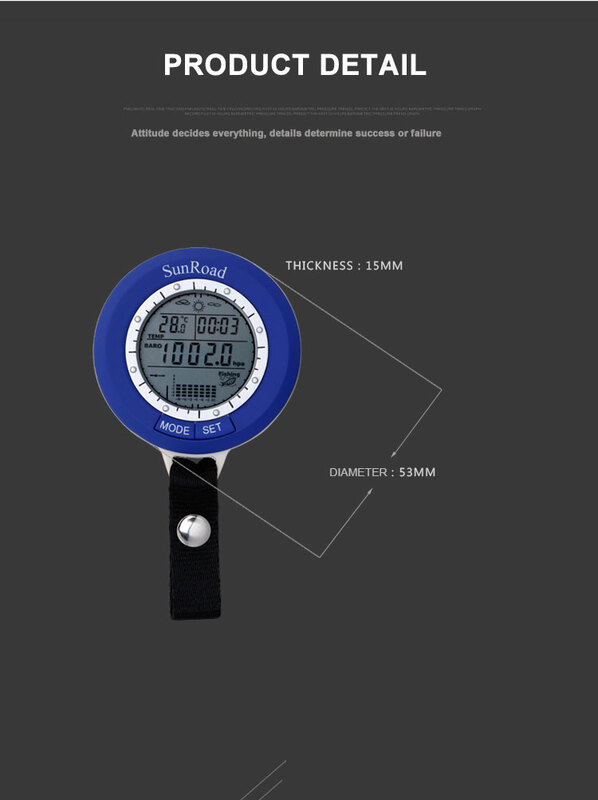 It features am altimeter, barometer, thermometer, weather forecast, countdown timer, time & date functions, and more.